Mini suction cups with hooks. 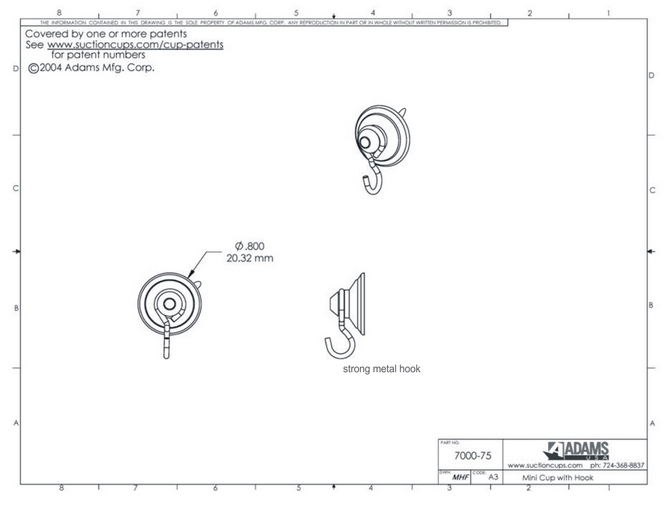 Adams technical drawing. Various pack quantities from a 4 sample pack to a 3000 bulk box, can be found listed down this page. For higher quantities than shown- please contact us by email for a quote.